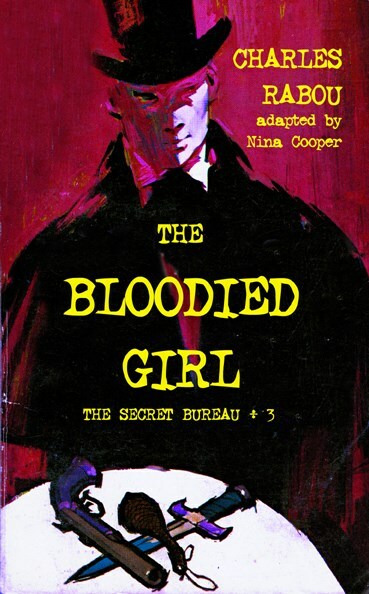 The Bloodied Girl (1857) is the third volume in a series of four that tells the story of the secret government’s spy network, the Secret Bureau, that intercepts and opens all private mail. In this tome, we discover how the downfall of Napoleon and the return of the bourbon King Louis XVIII to power in 1815, plays havoc with the lives of the saga’s numerous protagonists. Gregorio Matiphous is trapped in a web of schemes of his own making. The artisan of his downfall, the former bandit Rempailleux, succeeds in replacing the last of the Hulet family which, for generations, has headed the Secret Bureau. Charles Rabou (1803-1871) was one of the founders of the prestigious Revue de Paris and a friend of Honoré de Balzac, whose unfinished novels he completed after the latter’s death. He was also a master of the roman noir (crime novel). The Secret Bureau is an important link between the works of Jules Janin and Frédéric Soulié on the one hand, and Paul Féval and Ponson du Terrail on the other. Introduction and Notes by Nina Cooper.